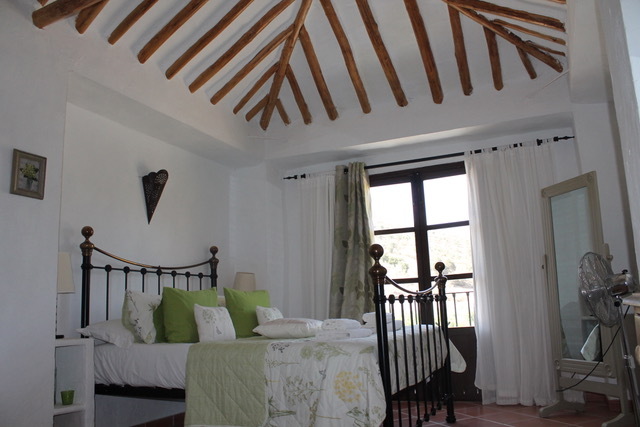 The Casita sleeps a maximum of 2 people. 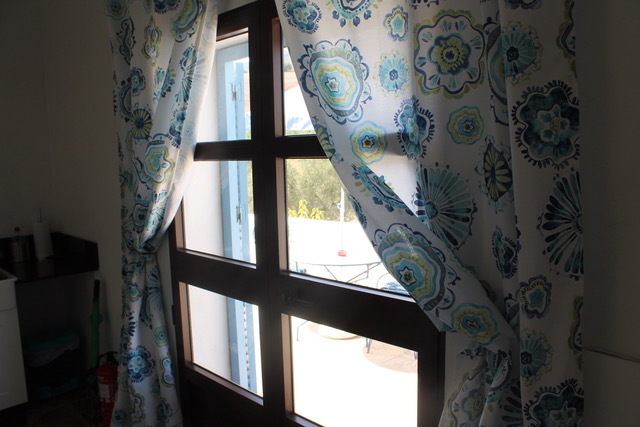 This has two French doors to the front of the building. 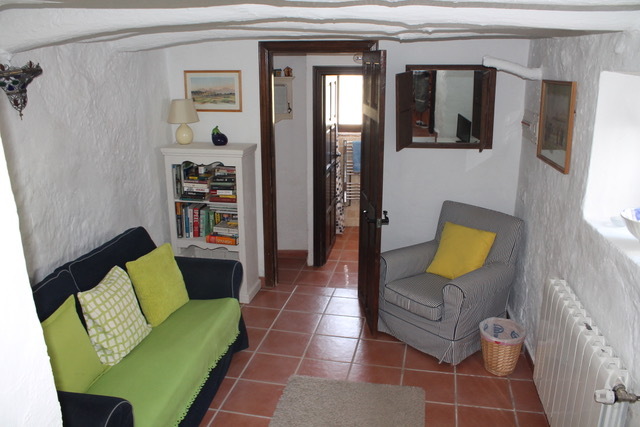 It is on one level and is open-plan. 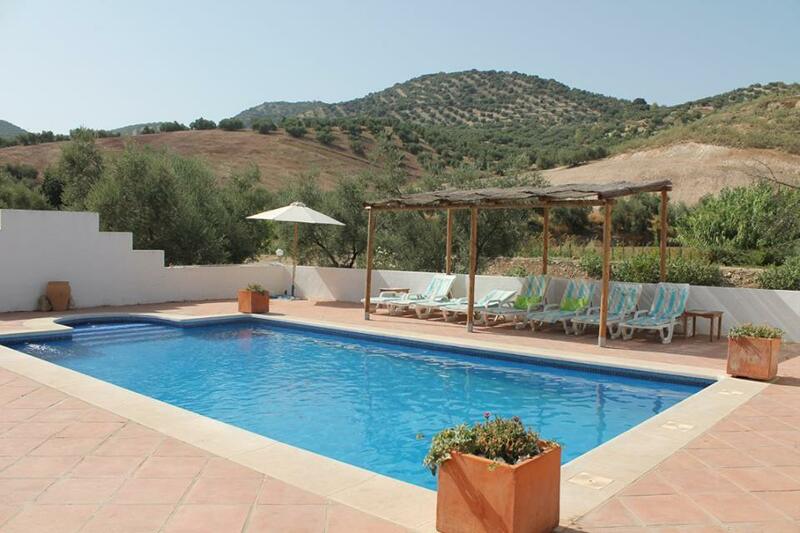 The doors look out from a terraced area across the pool. 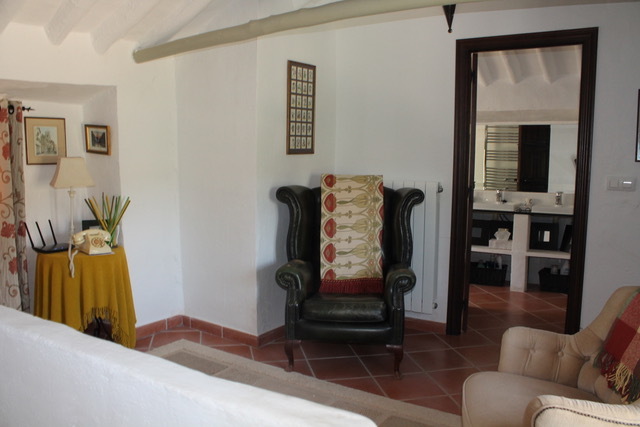 Inside is the lounge with seating for 2 to 4 and dining area with table for 2 to 4 with a lovely kitchen to the right hand side. 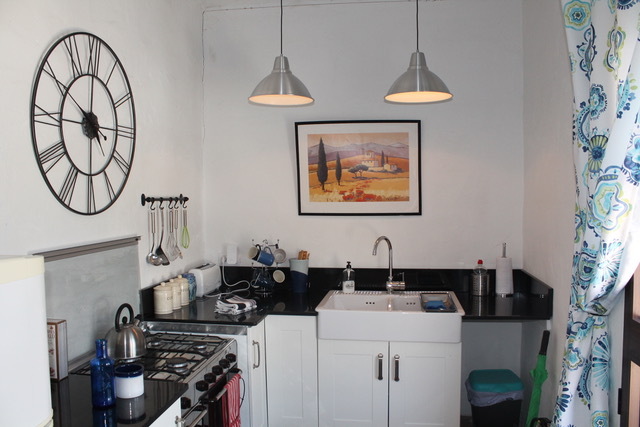 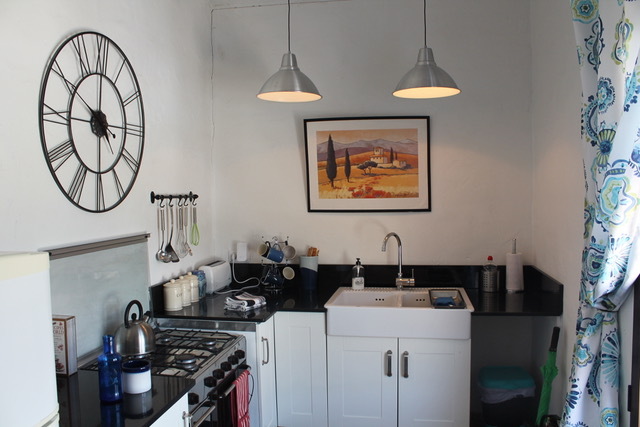 Again the same soft closing cupboards and drawers, modern marble topped sink unit and gas cooker and oven. 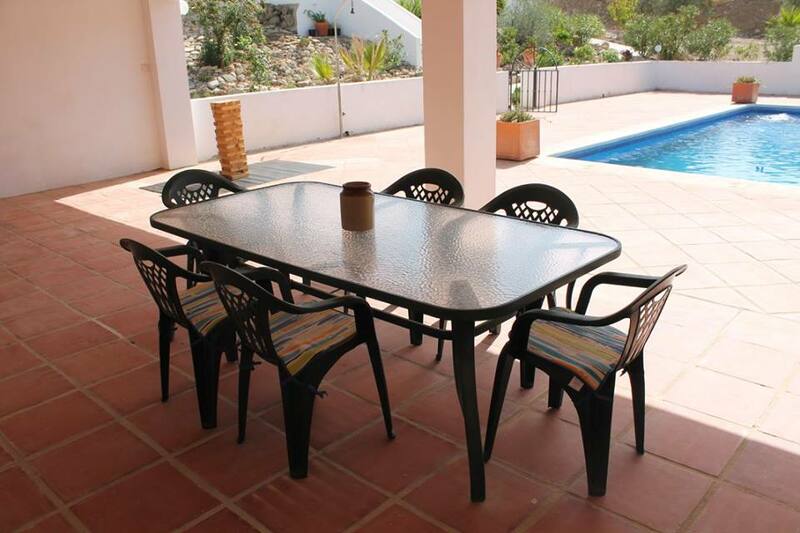 Price: £64.00 Price for this villa per night during this period. 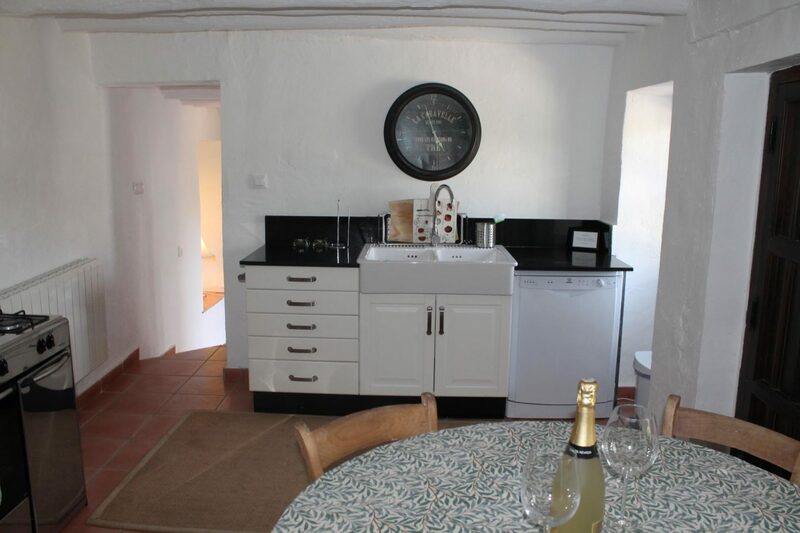 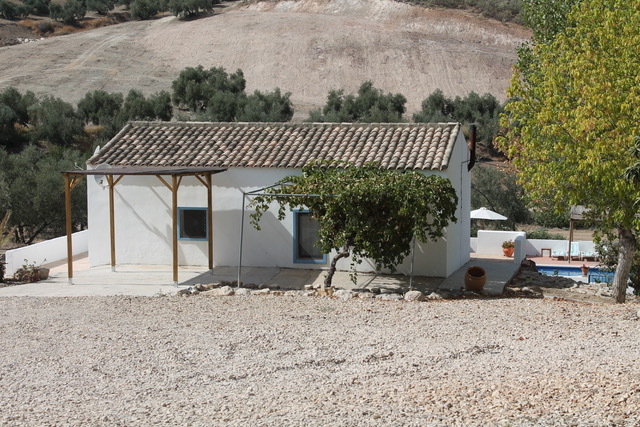 An ideal holiday home for relaxing and thoroughly chilling out with a good book and bottle of the local wine. 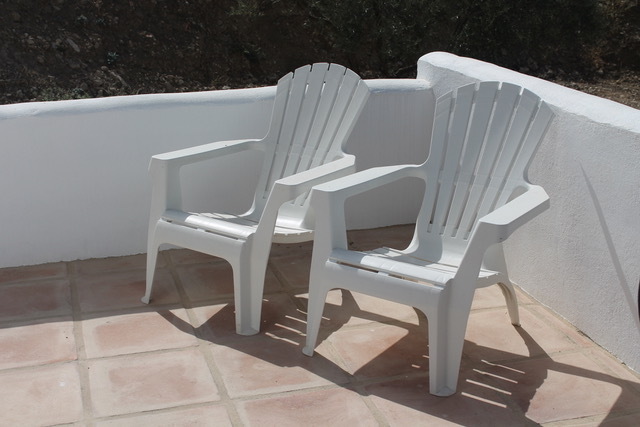 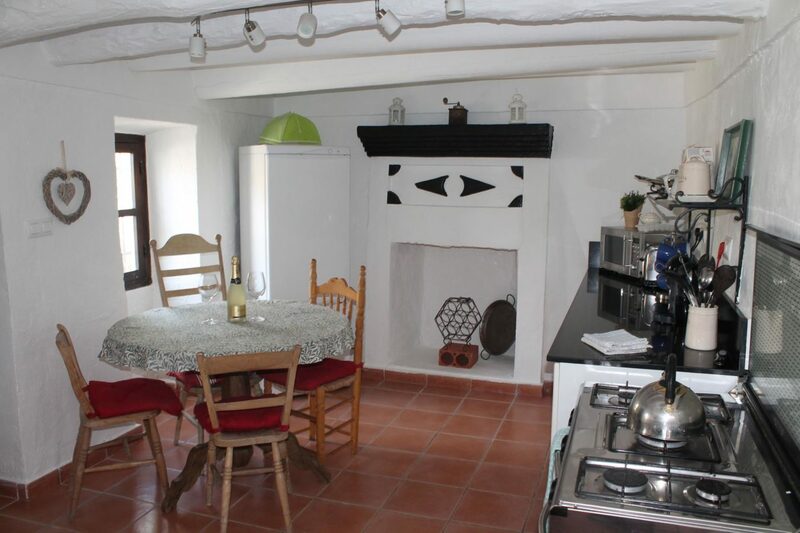 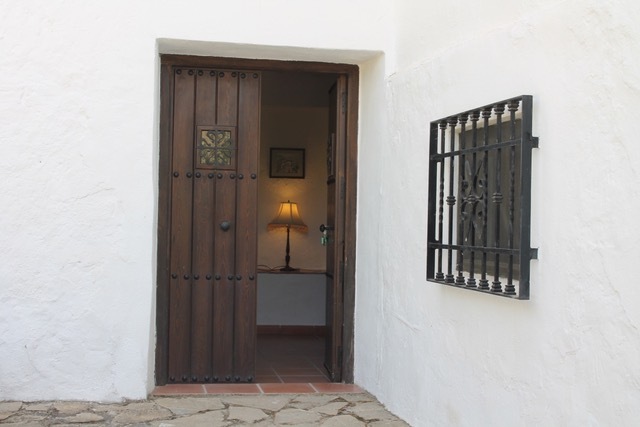 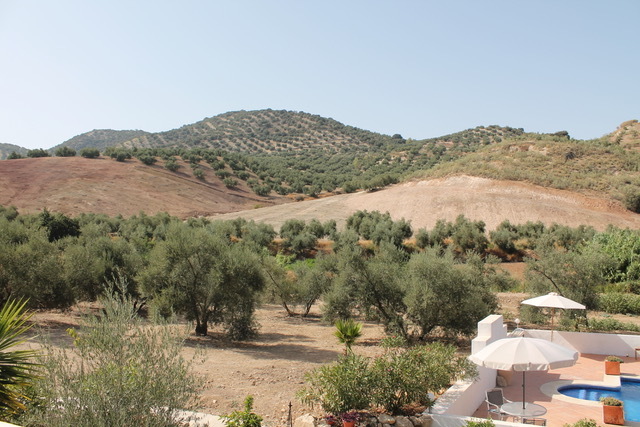 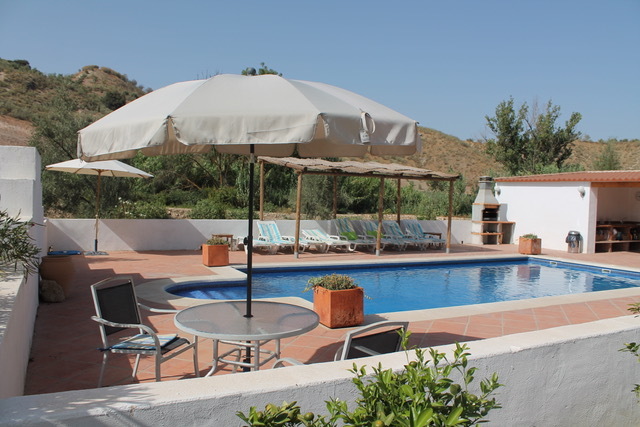 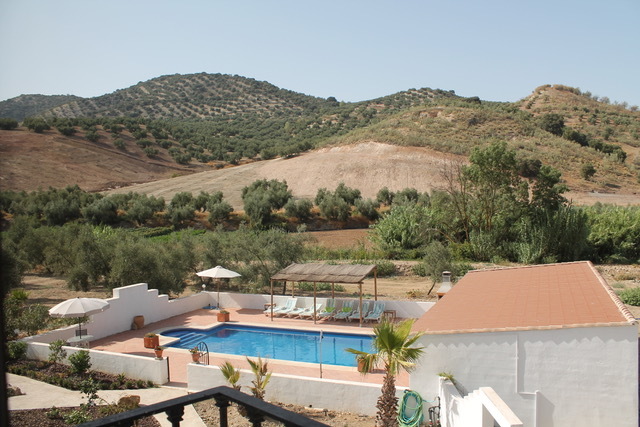 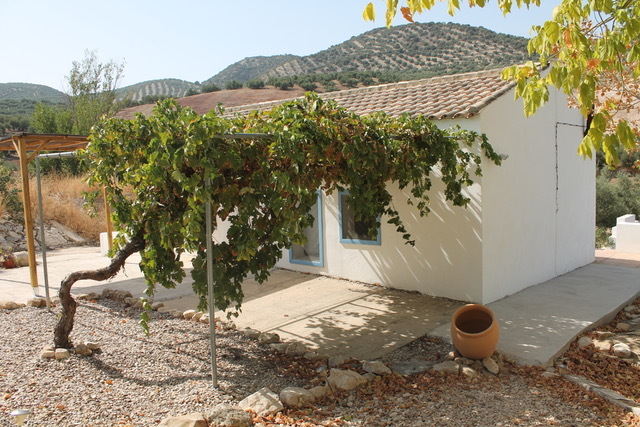 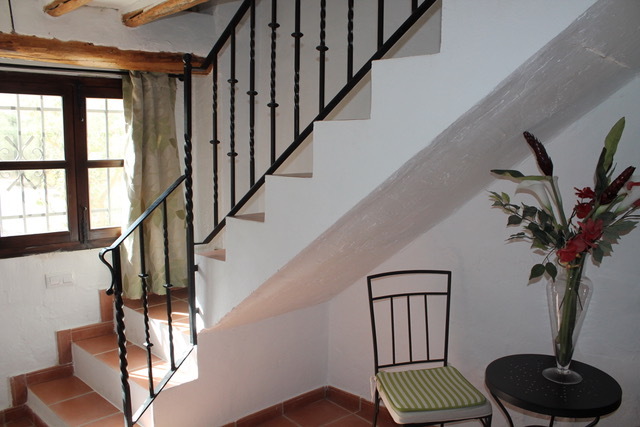 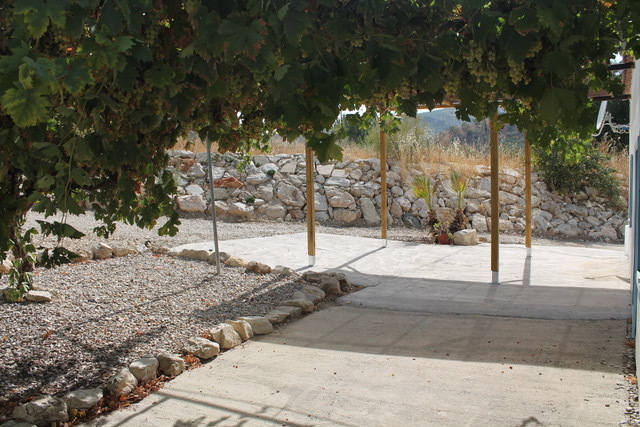 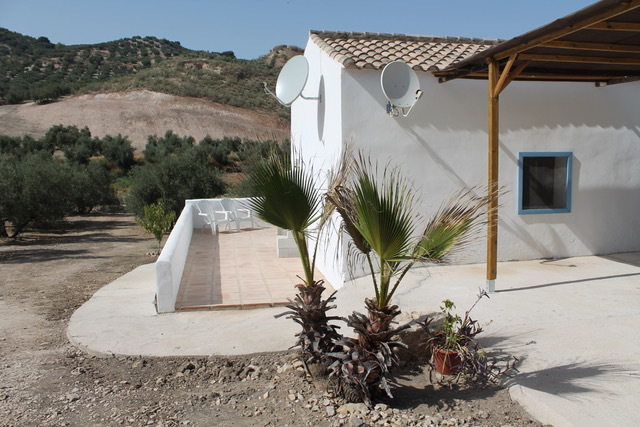 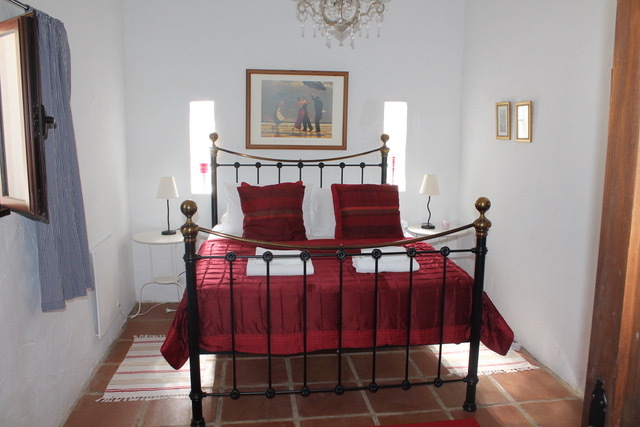 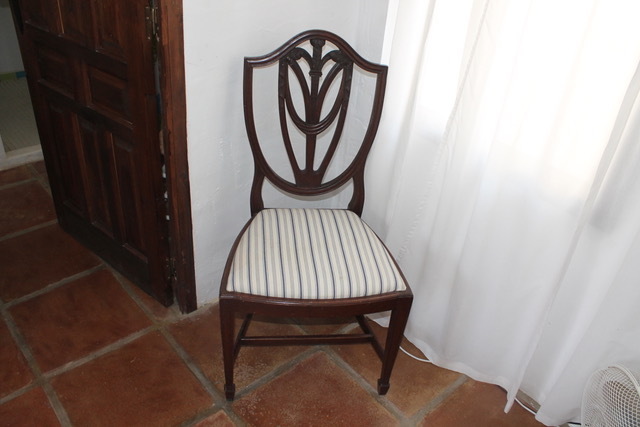 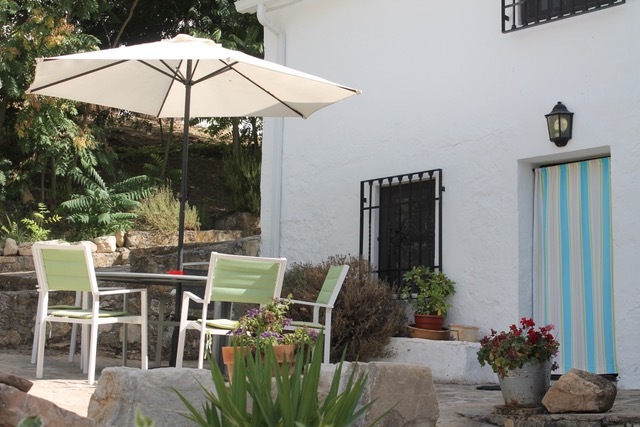 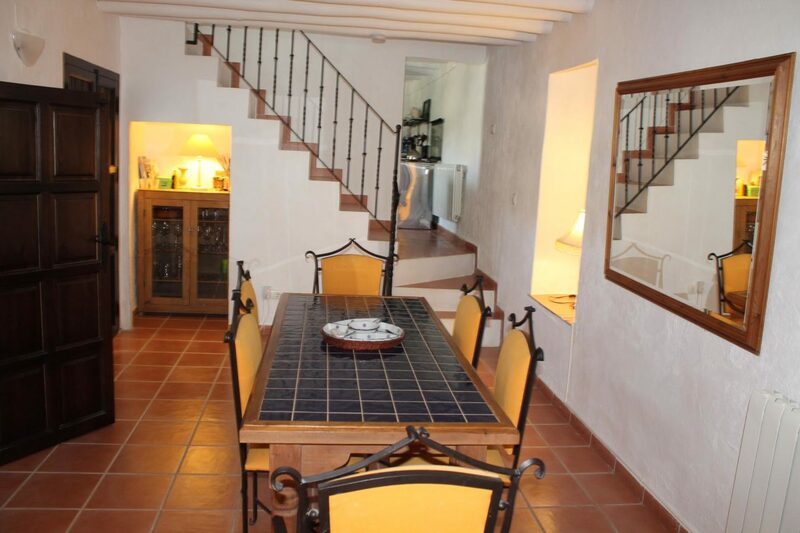 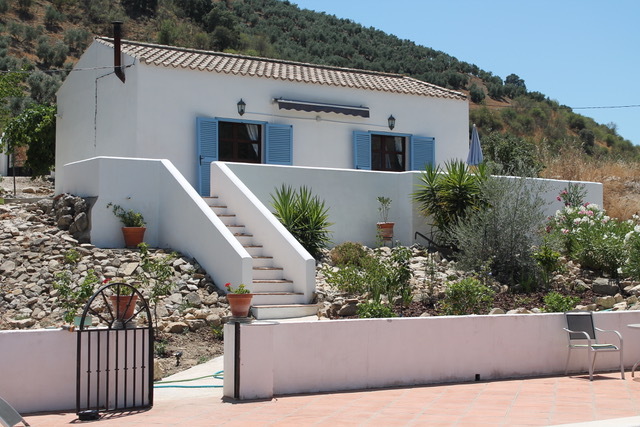 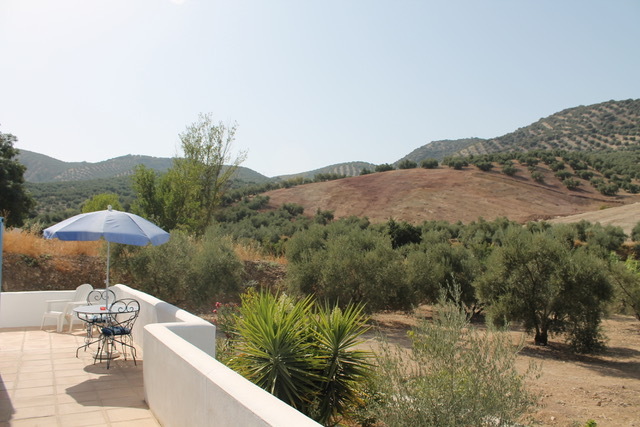 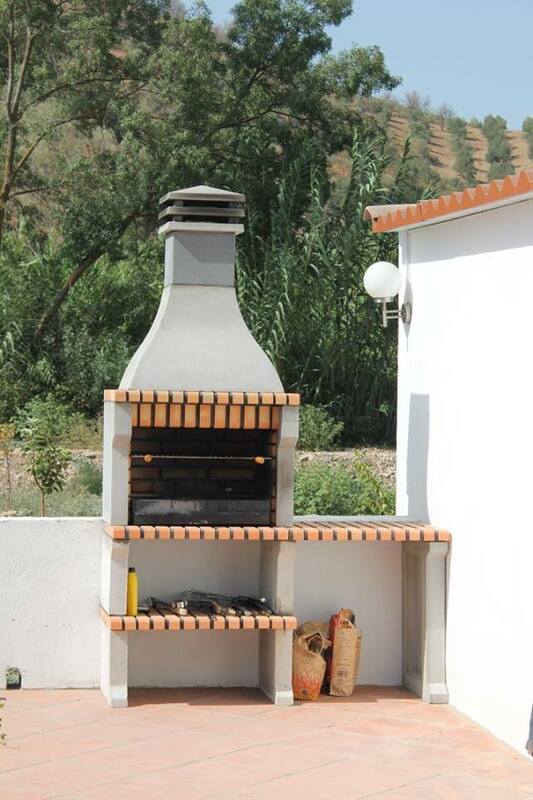 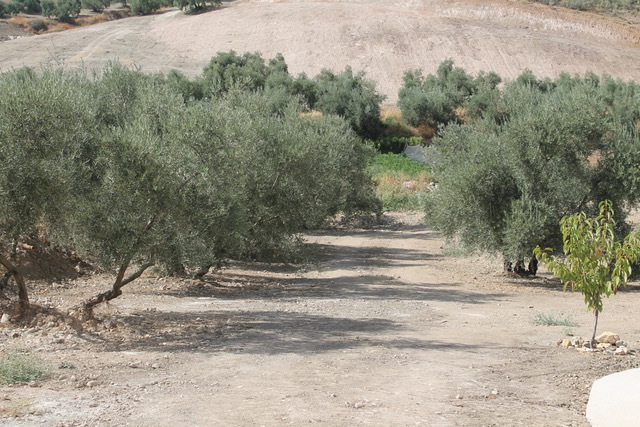 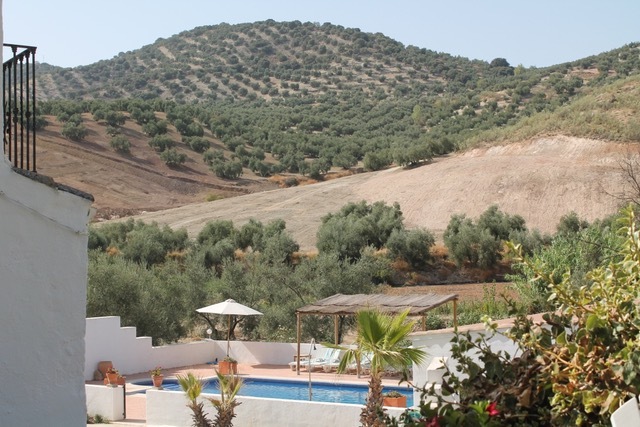 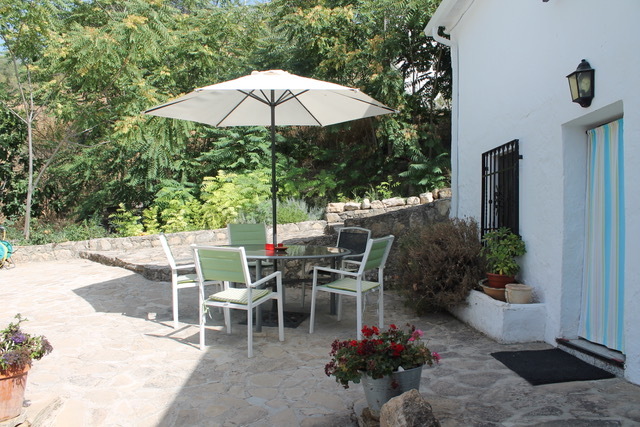 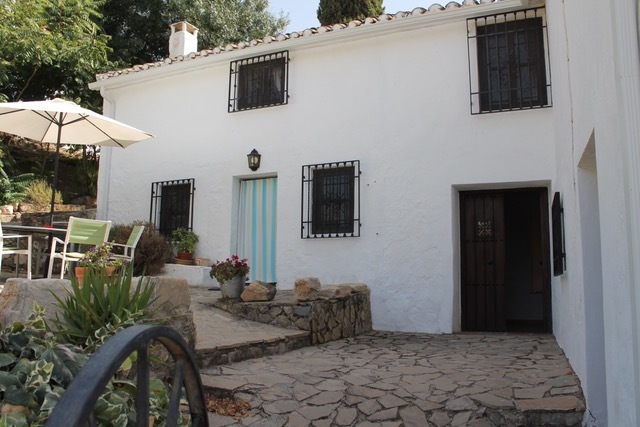 The Cortijo is great for a party of 6 people (7 at a push). 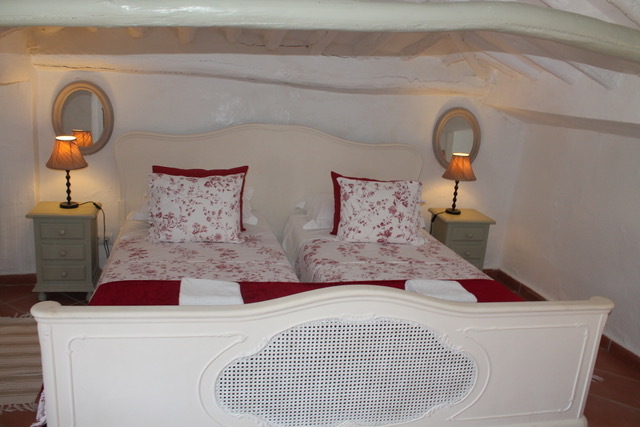 Newly decorated to a very high standard with no expense spared. 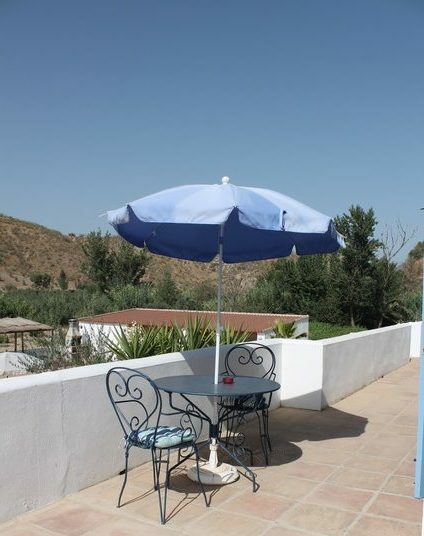 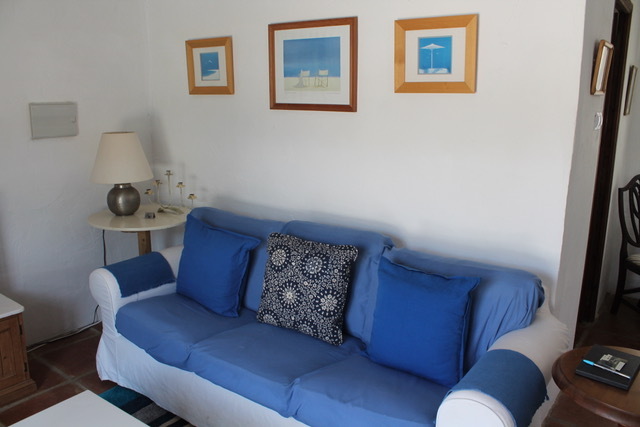 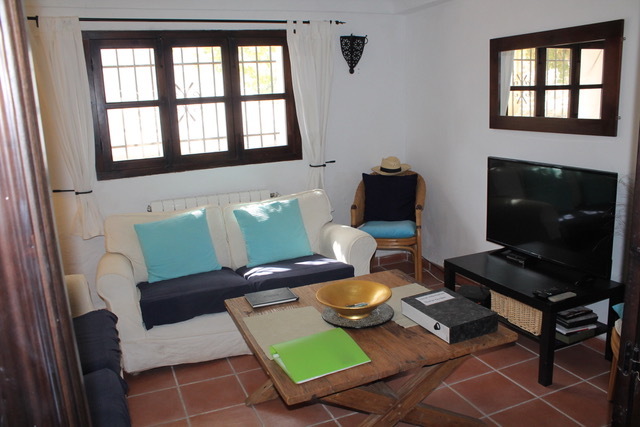 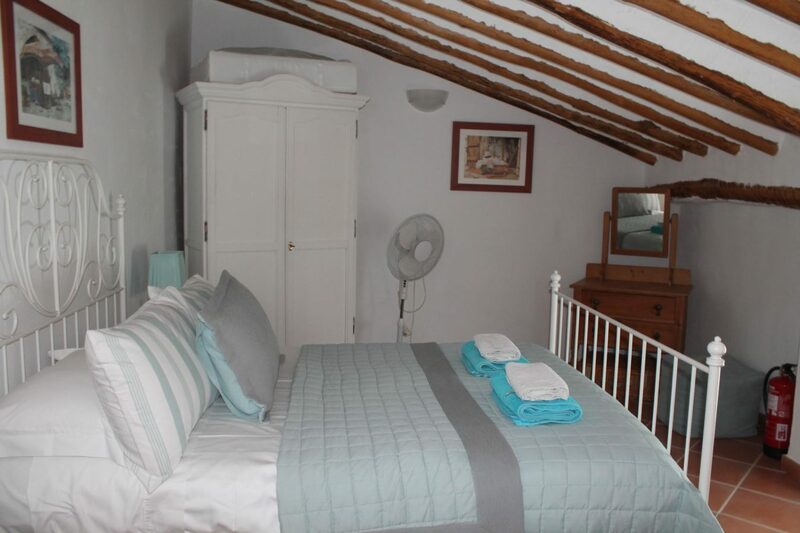 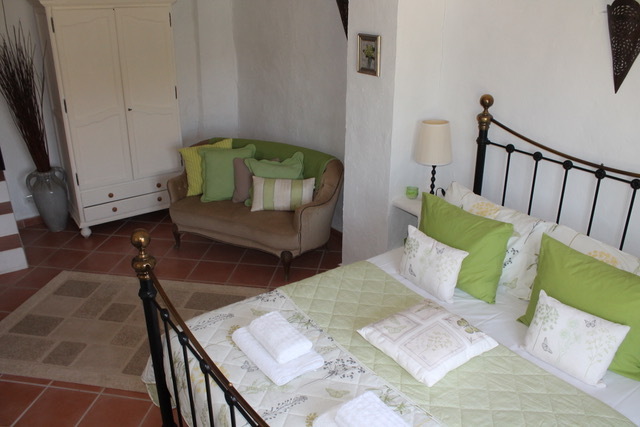 Price: £136.00 Price for this villa per night during this period.